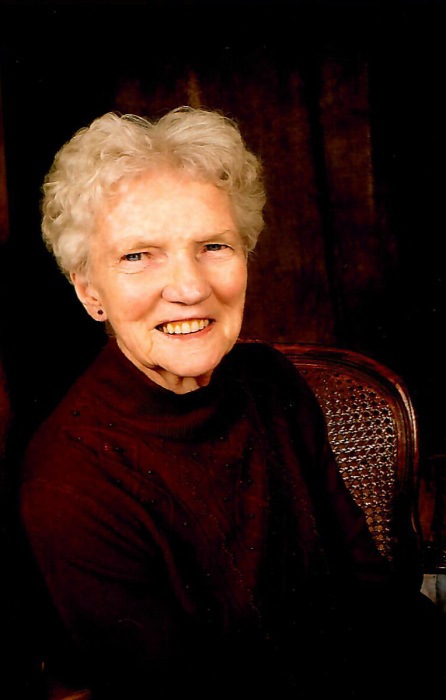 Frances Mary Gladstone of Pincher Creek, Alberta, beloved wife of the late Jack Gladstone passed away peacefully surrounded by friends and family on Monday September 10th, 2018 at 82 years of age. Frances made family one of her biggest priorities and cherished many memories during her incredible life. She will be missed by her sons Jack (Penny), Rick (Karen), Art (Michelle) and son-in-law Les Nielsen (late daughter Carol). She will be cherished by her grandchildren Mandy (John), Marla, Michelle, Christal, Michael, Christopher, Carley, Kenton, Danae, Julia, Tim, Keegan (Angelique), Jenessa and Leia. Frances will also be remembered by her great grandchildren Beckett, Tyler, Leah, Marissa, Ryder, and Drake. She will be greatly missed by her siblings Ann (Don), Lorna, Phyllis and their families. Many of her friends were also as close as family members to Frances and her family. She fostered so many deep and meaningful relationships with such a wide array of people. She was so grateful of the impact each person had on her life and often reminisced on all the good times she had with the people she knew. The friendships she made with people were such an important part of her life. Frances was a faithful member of the St. Michael’s parish and took care of the many priests who passed through the doors for 35 years. She was also a member of the Catholic Women’s League (CWL) for 60 years. She was a giving soul that put other people first. She sang in the choir for decades before she had to stop for health reasons. She never wavered in her faith even when faced with all the numerous health and life challenges that came her way. Throughout the course of her life she always remained positive and didn’t complain about any obstacles she was facing. Frances was a very special person and was so grateful for the community at Vista Village for taking such great care of her over the last 8 years. She was a kind, welcoming and gentle soul that legitimately cared about people on such a deep level. She loved participating in the events at Vista Village and did many jobs to help welcome the new residents to the community.